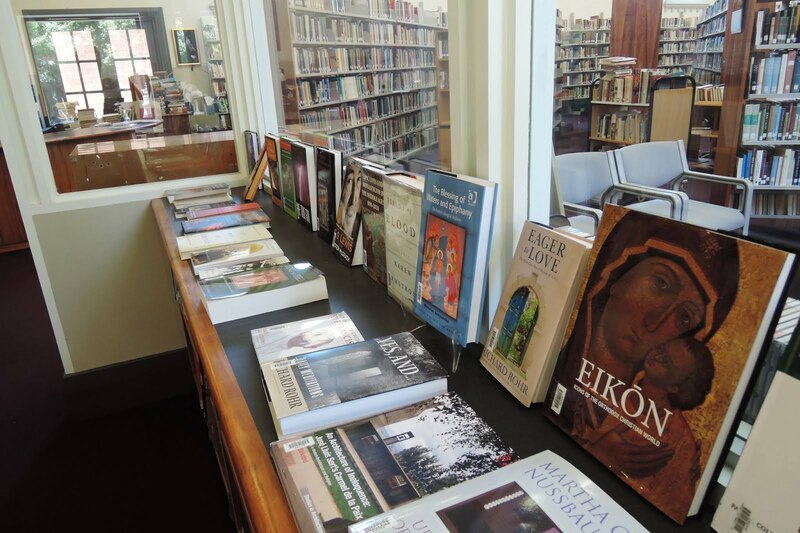 On Tuesday the 18th of April Ann Rochford gave an introductory paper on Saint Catherine of Siena, as part of the Carmelite Library’s regular Spiritual Reading Group. 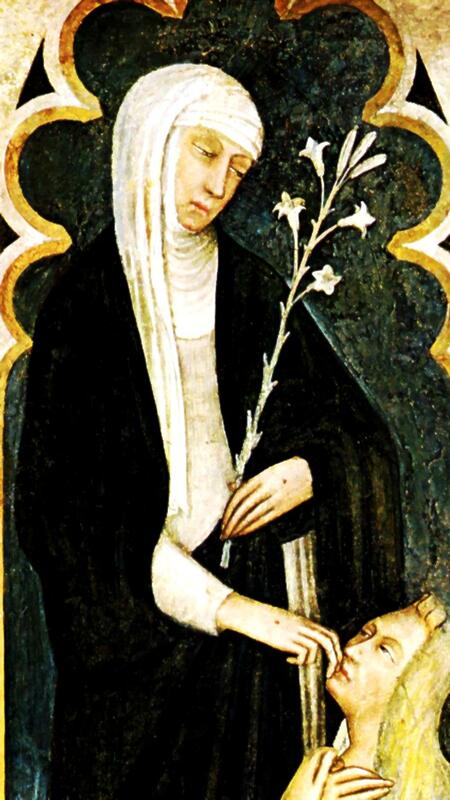 Catherine of Siena was the great Dominican woman of the fourteenth century. She is a one of the great Mystics and a noted ascetic. Pope Paul VI commented, “Her gift of wisdom enabled her to taste the truth” She was uneducated: she did not learn to read until her late teens and she only learnt to write her own correspondence in her later twenties. Yet, she is noted as a great theologian, in fact a Doctor of the Church, (a person whose teachings are true and timeless). She has left us with a collection of almost 400 letters; twenty-seven prayers and her very great work “The Dialogue.” (Three different literary genres) She carried on lengthy correspondences with popes, kings and princes. She is credited as being a driving force in bringing the Papacy back to Rome, from Avignon. She was a peacemaker and spiritual advisor. She had a legion of followers in her lifetime. All this, and she was dead at thirty-three. Catherine was born on the 25th of March 1347. She was the 24th of 25 children. (Family of multiple births, with a twin sister. Maybe half the children died in infancy) Her father was Giacomo de Benincasa, her mother Lapa Piagenta. Lapa was forty when Catherine was born and lived to be 89. She walked in the procession, which brought Catherine’s relics back to Siena. Siena itself was a town of cloth dyers. It was prosperous and Catherine’s family was not poor; her parents desired to marry their children, particularly their daughters, “up”. Catherine was beautiful and was particularly noted for her hair. It was considered that a very good marriage was likely. Catherine had other ideas. She had her first mystical experience around the age of six or seven when she was walking home with her brother and saw the face of Jesus in the sky above the Cathedral of San Domenico. She decided immediately that she would devote her life to Jesus; she would not marry but also would not join a convent. Catherine was always a very strong-willed, determined and plain-speaking woman. She set her own course. (Modern feminists like her.) “Speak Truth to Power.” In her early teens a marriage was arranged. Catherine refused to cooperate, cut off her hair, and refused to eat. Her mother was furious, her father ultimately relented, came to understand her spirituality and gave her a room in the house for her spiritual reflections. In her mid teens she was accepted into the Mantellate, a third order of lay Dominicans. These were women, usually widows, who took the Dominican vows, wore the habit, kept the Dominican rules of silence and prayer times: but they lived in their own homes. This suited Catherine well, because she could chart the course of her own spirituality, but was not such a happy arrangement for the rest of her family. They would often come home and find that she had given away the food for the night, or they would see their winter cloak around the shoulders of the beggar down the street. In her first few years in the Mantellate she led a life of solitude, although she was taught by older members of the order, how to read. Her life of deep mysticism began to flourish. She talks of having many visions whilst in mystical trances and being visited, not just by Jesus Himself but also by many saints, including Dominic, Thomas Aquinas, and Mary Magdalene. She embraced a life of extreme ascetism. This included self-flagellation twice a day, and near starvation. (Holy anorexia, a thin body is a holy body). She also tried to deprive herself of sleep. She was mastering her physical desires in order to focus on her spiritual growth. She opened gaping wounds on her body, which she called her flowers. She was regularly urged by her spiritual advisors to curb her ascetic tendencies, but refused. The fact that she did not join the Order as a nun allowed her to become extreme is these practices, without being curbed. At around 20, after a vision, Catherine saw that God was calling her to leave her enclosed life and work in the World. In the vision God told her he wanted her to fly on two wings, one wing was her personal spirituality, the other service to others. She began visiting the sick in their homes and feeding and caring for them in the local hospital Santa Maria Della Scala. She asked to be given the worst cases, the plague and leprosy. She soon attracted a following of local young Sienans, and then people from further afield, who joined her in her work. Such was the enthusiasm of her following that she eventually had to build a house of her own just outside Siena, to cater for her large following. Her followers were men and women, clergy and laity, quite remarkable for a medieval laywoman. She instructed them by sharing her own spiritual journey and acting as their spiritual director. She referred to them as her Family and they often called her Mamma. Her followers would not describe her as happy -- but always very joyful. Her letters often express her love for them. Amongst her followers were: her mother, her sister-in-law, a Franciscan provincial, Augustinians, William Flete a Cambridge graduate and English Augustinian, who came to Italy to meet her and remained a close friend, young Dominican novices, young lay people from rich and poor families. There were also three young laymen, who acted as secretaries and wrote all of her correspondence. As her fame became better known, Catherine became famous as a peacemaker. She was called upon to settle disputes in families, and then disputes between the fractious Italian states. In these matters she wrote to, and instructed, the King of France, the Queen of Hungary, dukes, counts and other notables across Europe. Catherine’s letters are straight forward and a delight to read. Her strong personality and sense of what is right in God’s eyes, shines through them. She thinks nothing of the fact that a young woman of humble birth is giving very direct instructions to the great people of her time. She is doing God’s business. Catherine’s great concern at this time was about the parlous state of the Church. 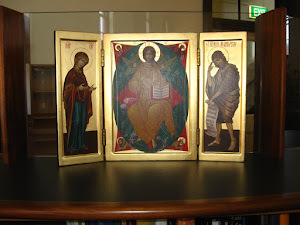 Catherine loved the Church, which she saw as part of the Mystical Body of Christ. She was distraught the terrible state of the Church of her time. In 1309, due to safety threats, the Pope went to Avignon and did not return. The church was corrupt, mismanaged and scandalous. She called for urgent and deep reforms. She spoke the truth about Church corruption (as a good Dominican should) and she believed that all members of the church should be able to speak the truth to its leaders and that the leaders ought (as their duty) to listen to them. She thought that as a general principle, the Church should always be in a state of reform. The Church understood her to be remarkable. She was uneducated, but she had a deep grasp of theology. Leading theologians of the time tested her and were astounded by her insights. It was considered that she could only get this understanding by having a very deep spiritual life. Raymund of Capua, a noted Dominican, was appointed to be her personal confessor. (He later became the Dominican Master and Catherine’s biographer.) She was as much Raymund’s spiritual adviser as he was hers. They developed a great friendship. Catherine often chided him for his timidity. She at one stage wrote and told him “to be a man.” She actually meant, be more like me. Later in her life she was scathing of him when he called off a diplomatic mission to Avignon, because he had heard that he was not welcome there, and men were waiting to kill him. She wrote to him in Pisa where he had taken refuge, asking him to explain why he had given up, what might be, his only chance to die a martyr. She was clear that she would not have given up that chance! Catherine began a mutual correspondence with Pope Gregory XI in which she entreated him to bring the Papacy back to Rome and reform the Church. He kept her letters to him, but we do not have his replies; she did not keep correspondence that came to her. Catherine was eventually sent to Avignon to speak with him personally. He resisted her, but then returned to Rome soon after. Shortly after, Gregory died and Urban VI was elected. Urban was a difficult and abrasive personality, but a reformer. Catherine was called to Rome to advise him and help make peace with the quarrelsome Italian states, and between the Vatican and Avignon. She travelled quite a bit, to Pisa and Florence, and when she could, back to her own community in Siena. Catherine’s great work is The Dialogue. It was written in the last few years of her life. Her scribes, who took turns to sit with her, wrote down the document and recorded what she was saying, during her mystical trances. At the beginning of The Dialogue she tells us she wants to pursue truth and clothe herself in it: the truth of herself: the truth of God. To speak the Truth is the Dominican charism. Catherine was a very fervent Dominican. Truth and Love are the two virtues that shine through her work. The work is a dialogue between herself and God (really between humanity and God) and obviously comes from her times of mystical experiences. She has four petitions she wishes to put to God, and she gives us her record of the discussion involved in each of the questions. Her petitions were about Herself, the Church, the whole world, and for assurance of God’s providence in all things, particularly in regard to a certain case of which she was aware. In the discussion she refers to herself in the third person, often as “the soul”. God is usually called “first truth”. Mystics, like poets, need symbol and image to express their thoughts. The Dialogue is therefore not an easy read, but if you have the time, it is worth some effort. Catherine died in Rome in 1380, aged 33. In her last years her body was ravaged by her inability to eat and mortifications she imposed on her body. These no doubt hastened her death. To understand Catherine well, we have to have some understanding of medieval spirituality, which has a language and practices of its own time, and often sounds foreign to us today. This is the case with all of the medieval mystics. Despite the difficulty in interpretation, the great body of work that she left speaks for itself.